Looking for enthusiastic and reliable individuals to join our Park Team here at Saugeen Springs RV Park. We are looking for hard working and dedicated people to work in our Seasonal business in a personable and professional manner. 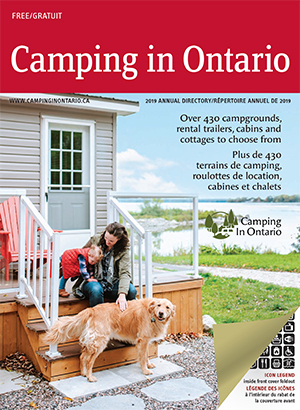 Saugeen Springs RV Park is a busy “family-friendly” campground on 200 acres situated on the banks of the Saugeen River. Our Park offers over 200 sites from tents to 45’ RVs, 10 rental units, a Store, Office, 2 Comfort Stations, 5 Privies, 2 playgrounds, shuffleboard courts, large chess, green gym, horseshoes, volleyball, basketball, petting zoo, Dog Run, beach, 2 fishing ponds, Church, dumping station, weekly entertainment, game nights, planned activities, wagon rides, and of course tubing on the Saugeen River. We require staff during our season from April 1st until November 15th. We also have summer student positions available. You will be required to work most weekends, including all long weekends. Drivers licence required for all positions. Maintenance staff will be operating machinery. We need a Park Team that will work together, and individually, to provide excellent service to all of our Guests. A pleasant personality and good Customer Service is needed for all of our positions. We desire to create a WOW experience for our Guests. We are located north of Hwy 4 between the towns of Durham and Hanover on the Mulock Road. Please provide as much detail as possible of your past working experiences and your strengths for the position you're applying for. We thank all of you that apply but we will only be contacting the candidates that we feel meet our requirements for an interview. Training and length of employment will be discussed with contacted applicants. We are located at 173844 Mulock Road, RR 3 Hanover, ON N4N 3B9 www.saugeenspringspark.com. Resumes can be sent through our Facebook page or to saugeensprings@yahoo.ca to Catherine Serez. Marmora KOAMarmora KOA is looking for an Office Manager to handle the day to day operations of the campground office. Ability to work Monday to Friday and weekend work, as required. Peak season in the summer will require coverage on the weekend. Please email your resume and cover letter to roytyson48@gmail.com. Only applicants that meet the criteria set forth will be contacted for an interview. Full-time, part-time or Saturdays only available. Seasonal position. A Store Clerk will perform routine functions, such as, but not limited to cashiering, stocking, and cleaning, helping the customer, taking reservations, checking in guests, as well as assist in maintain­ing proper store conditions. The successful candidate will have prior strong customer service and/or call centre experience, com­puter skills, preferably in the tourism industry and have excellent communication/organizational skills and cash experience. This person will also be a team player, Self-motivated, positive attitude, initiative and available to work on weekends. Full-time, Part-time or Saturdays only available. Seasonal position. The successful candidate will have prior strong housekeeping and organizational skills. This person will also be a team player, self-motivated, positive attitude, initiative and available to work on week­ends. Best suited for an adult. A housekeeper leader will be responsible for maintaining cottages, cottage linens, recreation hall, bathrooms/shower houses, laundry room and maintaining a safe and clean environment. All qualified applicants please e-mail your cover letters and resumes to info@batmanscamping.com, as interviews will be conducted soon. We thank all applicants. Only those selected for an interview will be contacted. Must pass a criminal background check. Camp Host, light duties such as grass cutting, bathroom cleaning, etc. Compensation: Free lot with water and 30 amp electric plus pocket money and expenses covered. This is only a 50 site campground with mostly all week end seasonal campers, so you will have lots of downtime to fish or whatever you wish to do. Please check out the website. For more information, please contact George by email. Lauderdale Point Marina and Resort Inc.
Lauderdale Point Marina and Resort is located on Sparrow Lake just 20 minutes north of Orillia.